Spoil your mom this Mother’s Day at Rhebokskloof Wine Estate with a dining experience guaranteed to show your appreciation for everything she has done for you. Nestled between two valleys at the foot of the majestic Paarl Mountain, Rhebokskloof Wine Estate is one of the oldest and most beautiful wine farms in the Cape Winelands. In existence since 1797, Rhebokskloof Wine Estate produces handcrafted wines and is renowned for its top quality and award-winning Shiraz. A Mother’s Day culinary feast await at The Rhebok Restaurant with their famous Sunday lunch buffet, offering a selection of mouth-watering dishes. Included is freshly baked farm-style bread served with the soup of the day, seafood salad with fresh herbs and marinated vegetables, platters of sliced roasted meats and ham for starters. As a main course you’ll enjoy dishes such as scrumptious roasted smoked pork neck with a mustard and honey glaze, roast beef with a red wine sauce or roasted tandoori chicken paired with wine to suit your preference. For those with a sweet-tooth, a selection of tartlets, cakes and ice cream will be served for dessert. The Rhebok Restaurant caters for all, serving traditional country-styled South African cuisine with a modern twist. 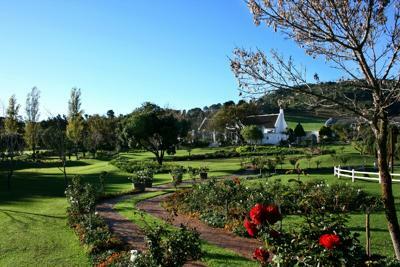 Rhebokskloof is the perfect family destination offering activities for young and old including picnics, wine and food pairings and a range of adventurous outdoor activities. Lunch will be served between 12pm and 3pm and kids under 12 eat free.